An emergency-room program focused on geriatric patients has sharply reduced unnecessary hospital admissions of older adults, according to a new study. The study was conducted by researchers from Northwestern University, Mount Sinai Medical Center and St. Joseph’s Regional Medical Center, all in Chicago. In the study, nurses who were focused specifically on geriatric care determined if emergency department patients aged 65 and older were experiencing mental or physical decline, if they were having trouble caring for themselves at home and if they had medical complexities common in older adults. Sometimes these patients would be moved out of the busy emergency department to a less active floor that had quieter rooms with doors, TVs and natural lighting that were more comfortable for older patients. The patients received follow-up calls after being discharged and were offered appointments with social workers, if necessary. 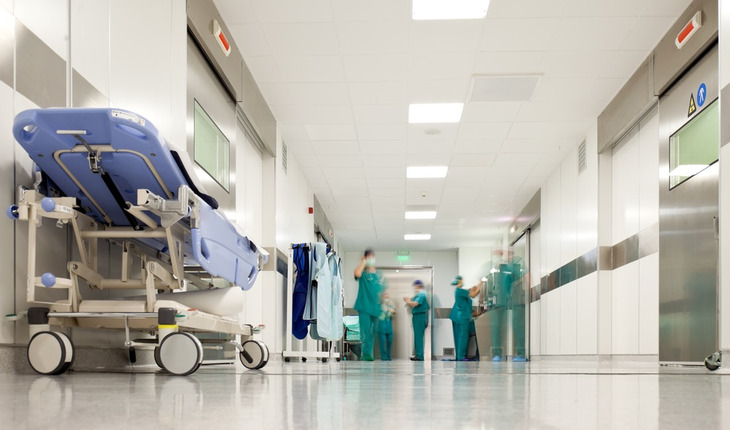 Patients visiting the emergency department who received specialized care were admitted to the hospital 36 percent of the time whereas patients who did not receive the specialized care were admitted 53 percent of the time. The research was the result of the Geriatric Emergency Department Innovations (GEDI) program introduced at the three hospitals in 2013. The goal of the program was to reduce the need to hospitalize older patients after an emergency department visit and to prevent revisits and readmissions. The program has allowed all three institutions to learn more about this older population and how to address their needs without needing to admit them to the hospital, said Dresden, director of the GEDI department at Northwestern Medicine. Northwestern’s program staffs one or two GEDI nurses, one pharmacist and a social worker every weekday between 9 a.m. and 10 p.m. The nurses assess older patients who come into the emergency department to determine if they are candidates for the GEDI program. If a patient qualifies, he or she receives a one-on-one visit from the GEDI nurse to discuss everything from their medical state and if they’ve visited the emergency department in the last 30 days to their support system at home and how they get their groceries. GEDI nurses ask a series of questions, such as “Who is the current president of the United States?” and “What was your mother’s maiden name?” to determine the patient’s cognitive state. As part of the program, patients will receive follow-up calls after being discharged from the emergency department and might receive counseling from a social worker. They will sometimes get transferred directly to a nursing home if the GEDI nurse determines it’s necessary. Northwestern’s GEDI program has space outside the emergency department where GEDI patients sometimes get transferred. Rooms on this floor have non-glare, non-slip floors, doors instead of curtains, and TVs and windows, which the emergency room does not have. But Dresden said the most unique and beneficial part of the program is the dedicated GEDI team, not the physical space. “This program is a model that other hospitals can easily adopt because they don’t have to build a separate space,” Dresden said.